Sometimes it’s VERY hard to decide what you’re going to be for Halloween. Realizing I needed a costume for our Craft-O-Ween event last weekend, I decided to go with what works for me- iPod costumes. Last year I was an iPod Classic. This year I decided to go with a green apple iPod Shuffle. 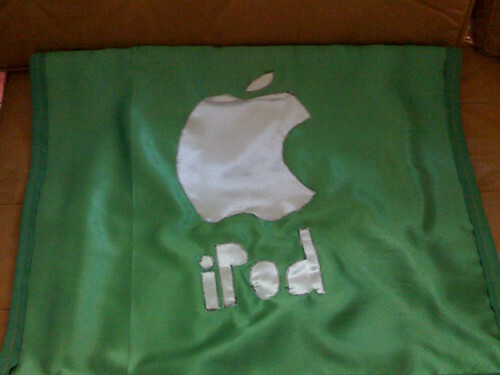 Making an iPod costume is NOT hard at all. The big challenge is figuring out which potato sack (since this is essentially the base of the costume, from iPod Nano to first-gen iPod) fits you best. Once you have that size figured out (I recommend a lot of fabric draping with a buddy), it’s time to pick your iPod: Nano? Shuffle? Classic? U2-branded model? I know, the choices are huge. Have fun with the fabrics. I went with green satin for the base, sparkly white satin for the wheel and green sparkles for the wheel details. Do iPods have sparkles? No. Should they? Yes. Just sayin’. If you’re making a full-body costume, go for felt. The heavier fabrics stand up better, especially if you’re wearing the costume for a while on Halloween. 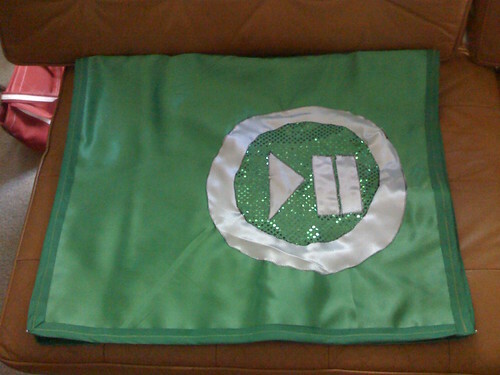 I decided the shuffle would look good as a pullover top only, so I backed the green satin with some canvas. I found this helped the costume stand up and be ready for shuffling. Lurve the ipod costumes. My 3 year old is going to be Little Red Riding Hood. My baby girl (5 months) is going to be the Big Bad Wolf. Both costumes will be handmade! Well, not by me though as I am sewing challenged. My daughter and her friend want to go as ipods this year. 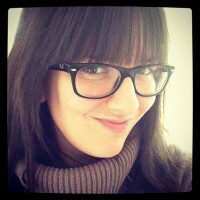 I love your picture. How did you make the shoulders stand straight out? I was thinking of sewing in dowels for the shoulders and sides to help keep the costume firm. I also thought I would velcro the back so they can step in/out of the costume. Hey DeeDeeLou! I hope the girls do go as iPods! For the shuffle costume, I used some basic costume satin and backed it with some cotton canvas I had left over from another project. I then used double-fold quilting tape to make the raw edges look nice, and I think that helped, too. When you take the combo of the layers of fabric and sewn-together quilting tape across the top really gave it some shape. Omg! These are awesome. I wanted to be this and i wanted to see how I’d look! thanks! AWESOME! 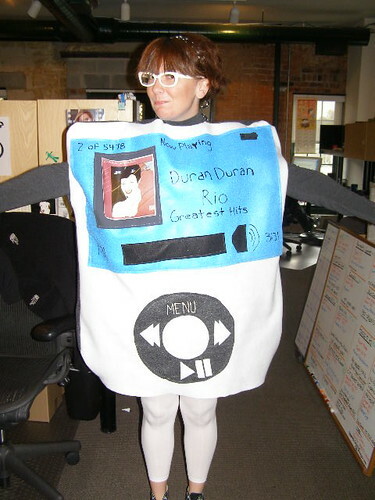 I want to pay you to make that white ipod costume for me! its so cute! Email me if you will actually consider it! !